REEF presents Cyrus Sutton's Island Earth The Wythe Hotel, NYC June 28th. Doors open at 7pm, screening begins at 7:30pm. The event includes a cocktail hour, prize giveaways, and Q&A with filmmaker Cyrus Sutton. Tickets $15. Shoreline Surf Cafe present Cyrus Sutton's Island Earth on May 19th, 2017. Doors open at 7pm, screening begins at 7:30pm followed by Q&A with Cyrus. Tickets $8. Leeward NW Surf and Sea and Half Court Studios present Cyrus Sutton's Island Earth on May 7th, 2017. Doors open at 6:30pm, screening begins at 7pm followed by a Q&A with filmmaker Cyrus Sutton. Tickets $8. Hydro Flask presents Cyrus Sutton's Island Earth at the Tin Pan Theatre in Bend, Oregon on May 6th. Doors open at 6:30pm, screening at 7pm, Q&A with Cyrus Sutton. Tickets $10. Bolina's Community Center presents Cyrus Sutton's Island Earth on May 1st, 2017 at 7pm. Screening and Q&A with Cyrus Sutton, tickets $8. Roxie Theatre screens Island Earth on May 27th at 7pm. Doors open at 6:30pm, screening begins at 7pm and is followed by Q&A with filmmaker Cyrus Sutton. Tickets $12 General Admission and $8.50 for seniors. CLIF Theatre presents Cyrus Sutton's Island Earth on April 26th, 2017. Doors will open at 6pm, and the screening begins at 7pm followed by a Q&A with Cyrus Sutton. Tickets $8. More info can be found at islandearthfilm.com. Sawyer Land + Sea Supply presents Cyrus Sutton's Island Earth on April 25th, 2017. Doors open at 6:45, Screening at 7:30pm, Q&A with Cyrus. Tickets $8. 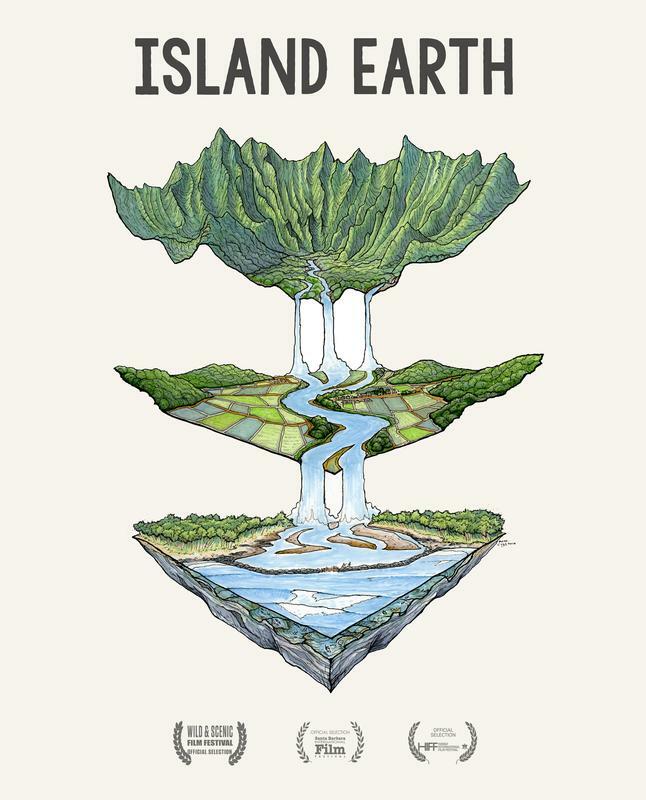 The Ojai Women's Club presents an Earth Day screening of Island Earth with support from the Ojai Green Coalition. Event starts at 1pm on Saturday April 22nd, 2017 and will include a Q&A with filmmaker Cyrus Sutton. Tickets $5. The Ojai Velley Grange presents Cyrus Sutton's Island Earth. Event starts at 7pm on Friday April 21st, 2017 and will include a Q&A with filmmaker Cyrus Sutton. Tickets $8.